F This Movie! 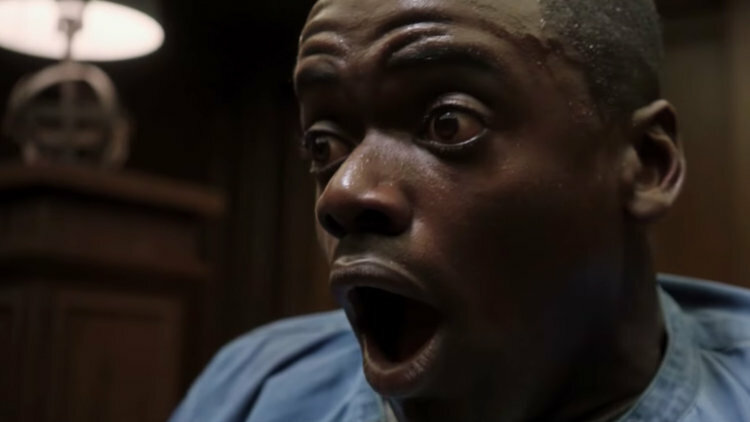 : Win a Copy of Get Out on Blu-ray! Win a Copy of Get Out on Blu-ray! We're giving away one of the year's best movies! The Jordan Peele-directed thriller Get Out was a huge hit this year for Universal/Blumhouse (with Peele being the first African-American writer/director to cross $100 million at the box office with his debut film!) and with the edge of your seat film being available now on Digital HD and hitting Bluray/DVD/On Demand on May 23rd, we thought partnering up with Universal to give one of you F This Movie! readers an awesome Get Out-themed giveaway basket would be a fun thing to do! Now that Chris (Daniel Kaluuya, Sicario), a young African-American man, and his girlfriend, Rose (Allison Williams, “Girls”), a young white woman, have been dating for several months, she invites him for a weekend getaway upstate at her family’s upstate home with parents Missy (Catherine Keener, Captain Phillips) and Dean (Bradley Whitford, The Cabin in the Woods). At first, Chris reads the family’s overly accommodating behavior as nervous attempts to deal with their daughter’s interracial relationship, but as the weekend progresses, a series of increasingly disturbing discoveries lead him to a truth that he could have never imagined. · Blu-ray™ unleashes the power of your HDTV and is the best way to watch movies at home, featuring 6X the picture resolution of DVD, exclusive extras and theater-quality surround sound. · Digital HD with UltraViolet™ lets you watch movies anywhere, on any device. Users can instantly stream or download movies to watch on iPad®, iPhone®, Android™, smart TVs, connected Blu-ray™ players, game consoles and more. · Q&A Discussion with Writer/Director Jordan Peele and the Cast: Director/Writer Jordan Peele sits down with the cast to answer fan questions on the film hosted by Chance the Rapper. I do not approve of the idea of this "get whitey" giveaway package.